Because a number of factors can have an effect on the overall state of your immune and gut health, maintaining optimal health can sometimes be difficult. 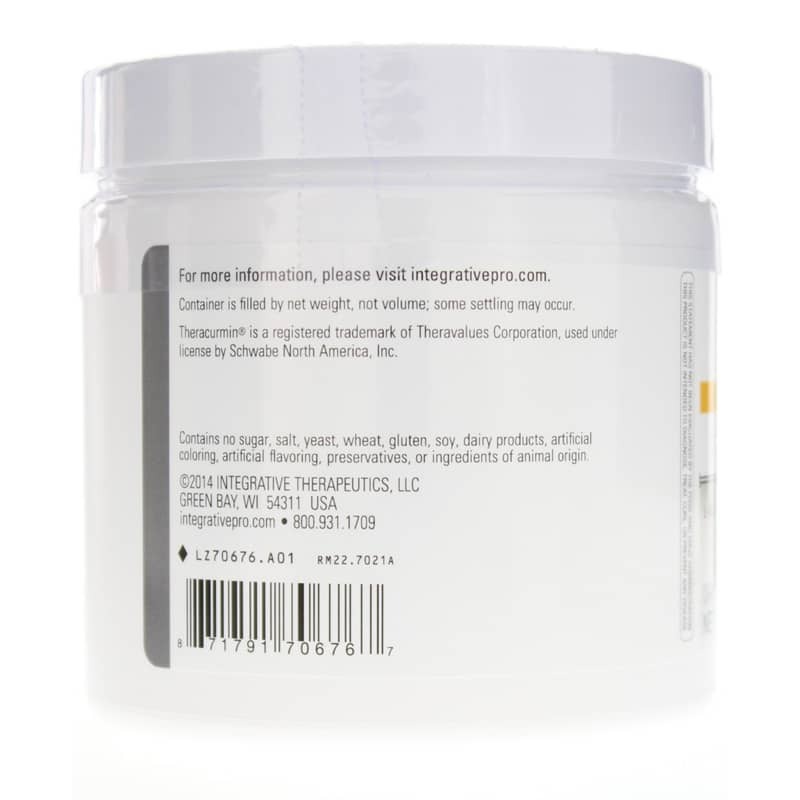 Glutamine Forte from Integrative Therapeutics is a convenient and easy-to-use powder that promotes optimal intestinal health. 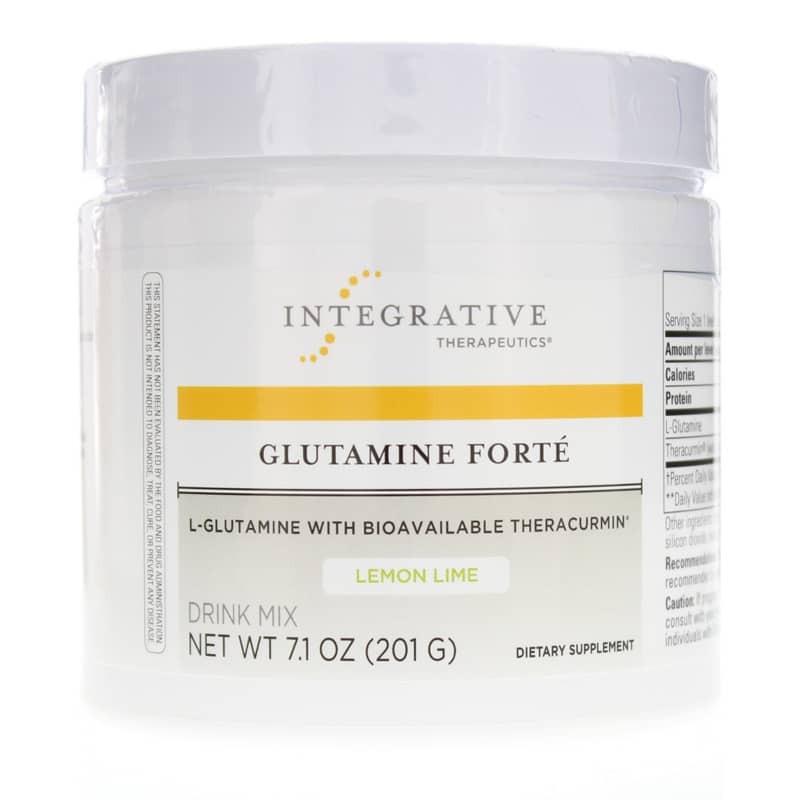 If you're in need of flexible dosing options, Integrative Therapeutics Glutamine Forte is the ideal option for you. Just mix it with water, juice, or your favorite foods whenever there's time. 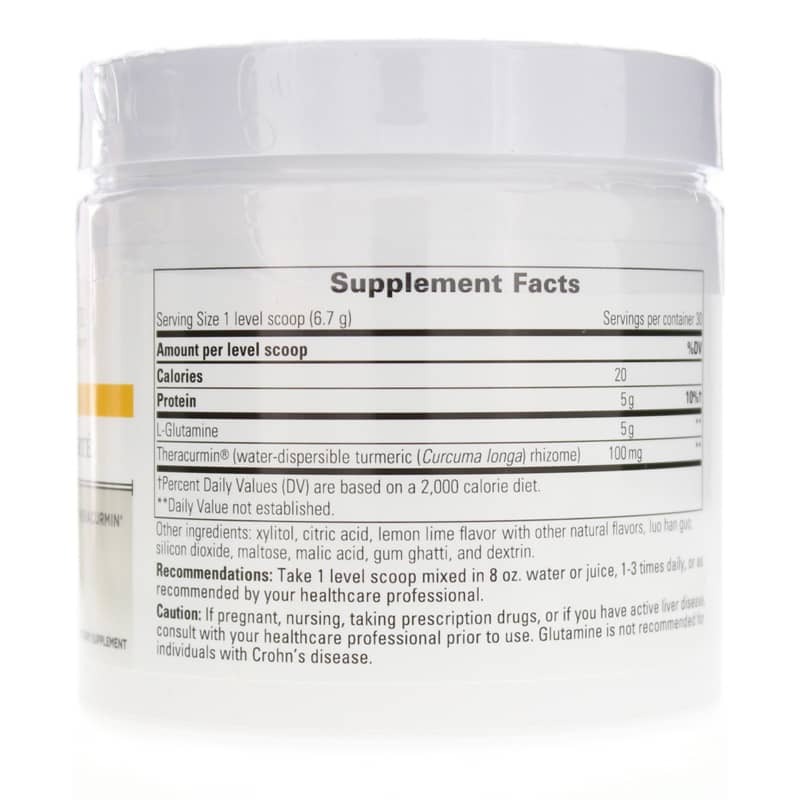 The theracurmin found in this supplement may be up to 27 times more bioavailable than regular turmeric and works to support certain pathways throughout your body. Take charge of your intestinal and immune health. Give Glutamine Forte from integrative Therapeutics a try today and see the difference it can make. Other Ingredients: xylitol, citric acid, lemon lime flavor with other natural flavors, luo han guo, silicon dioxide, maltose, malic acid, gum ghatti and dextrin. Contains NO: sugar, salt, yeast, wheat, gluten, soy, dairy products, artificial coloring, artificial flavoring, preservatives, or ingredients of animal origin. This product contains natural ingredients; color variations are normal. Vegetarian. Theracurmin is a trademark of Theravalues Corp. Adults: Take one level scoop mixed in 8 oz. water or juice, 1 to 3 times daily, or as recommended by your healthcare practitioner. If pregnant, nursing, taking prescription drugs, or if you have active liver disease, consult with your healthcare practitioner prior to use. Glutamine is not recommended for individuals with Crohns disease. Keep out of the reach of children.